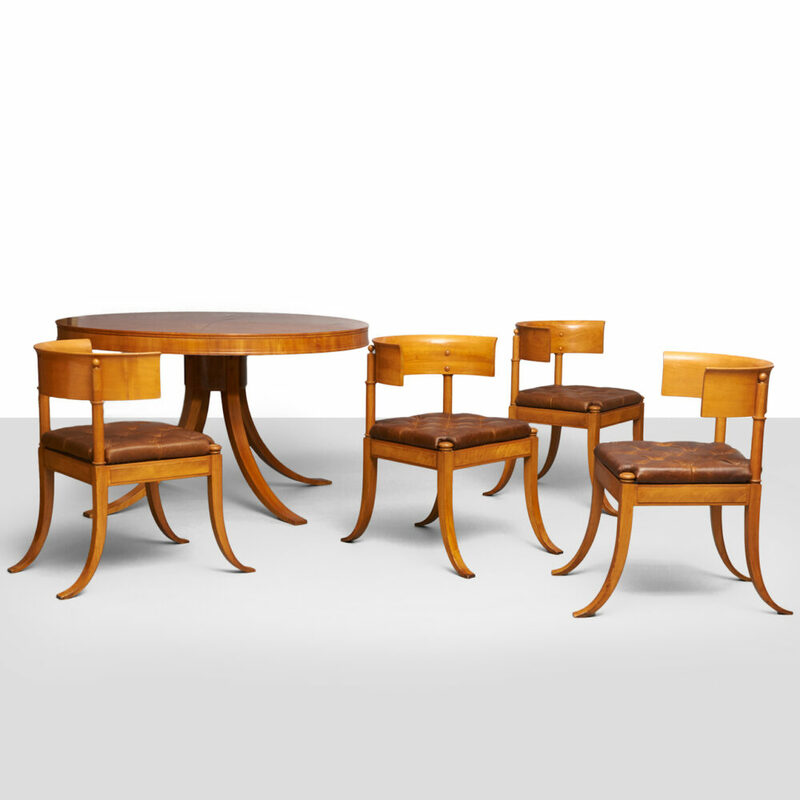 A Klismos dining set by Kaj Gottlob. 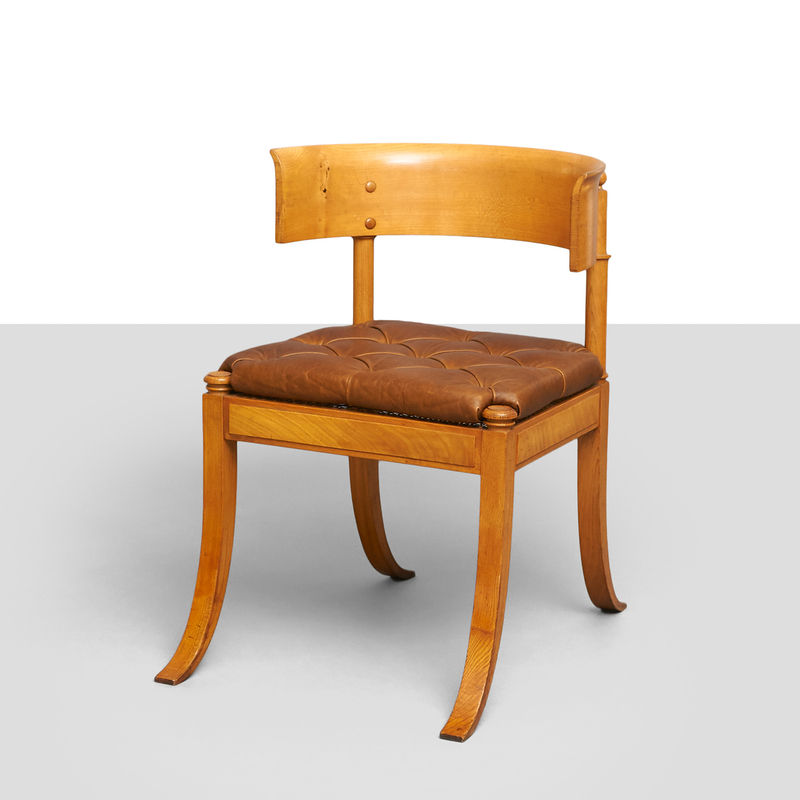 Four chairs of ash with cane seat and loose cushion upholstered in brown leather. 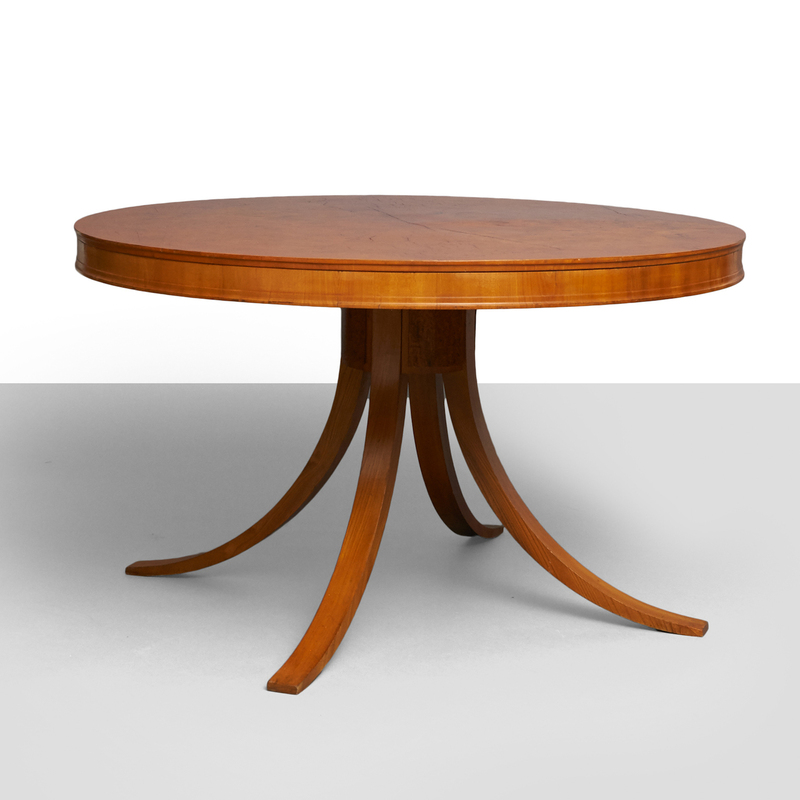 Round ash table with four curved legs with bird’s eye decoration. 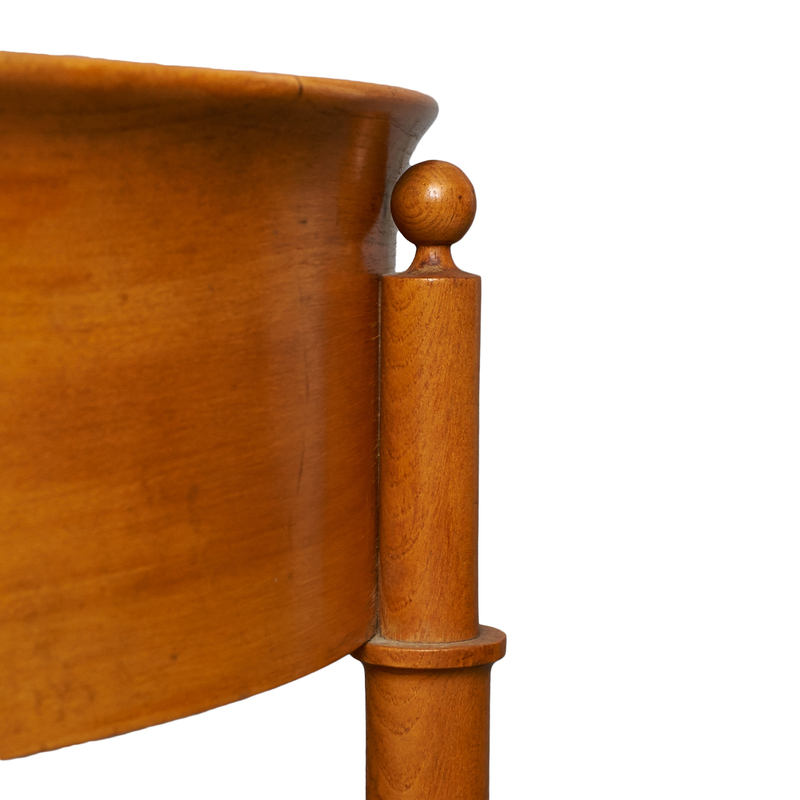 Molded apron, top inlaid with eight-pointed bird’s eye veneer star. 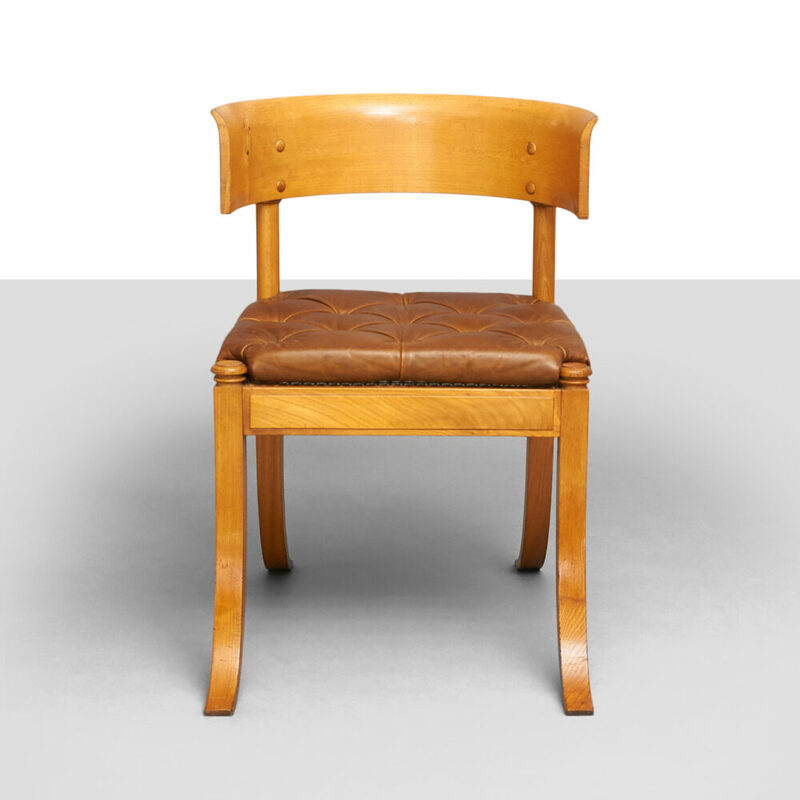 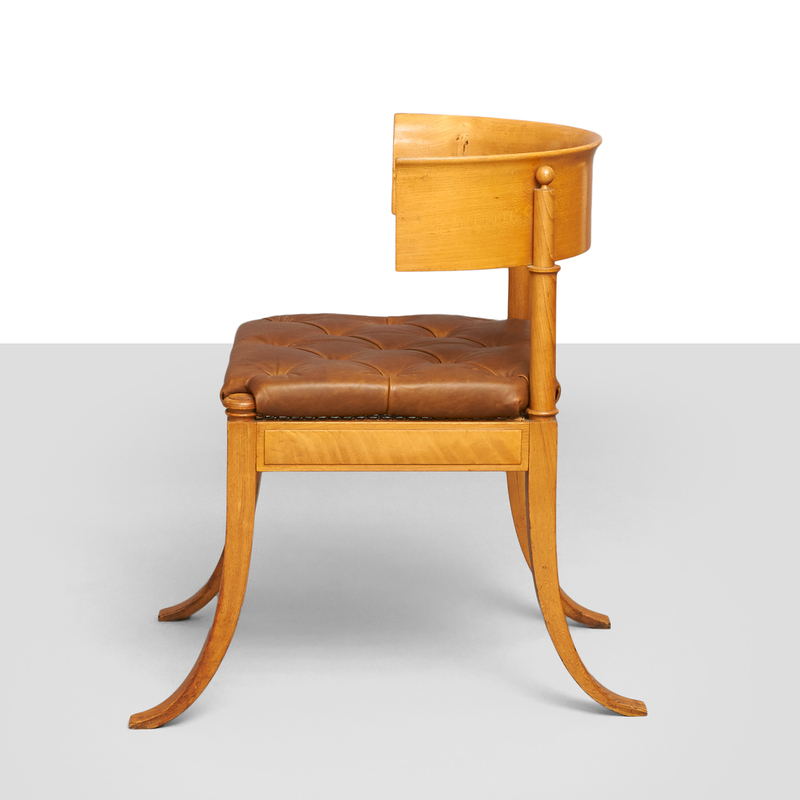 Designed in 1922 and produced by Fritz Hansen. 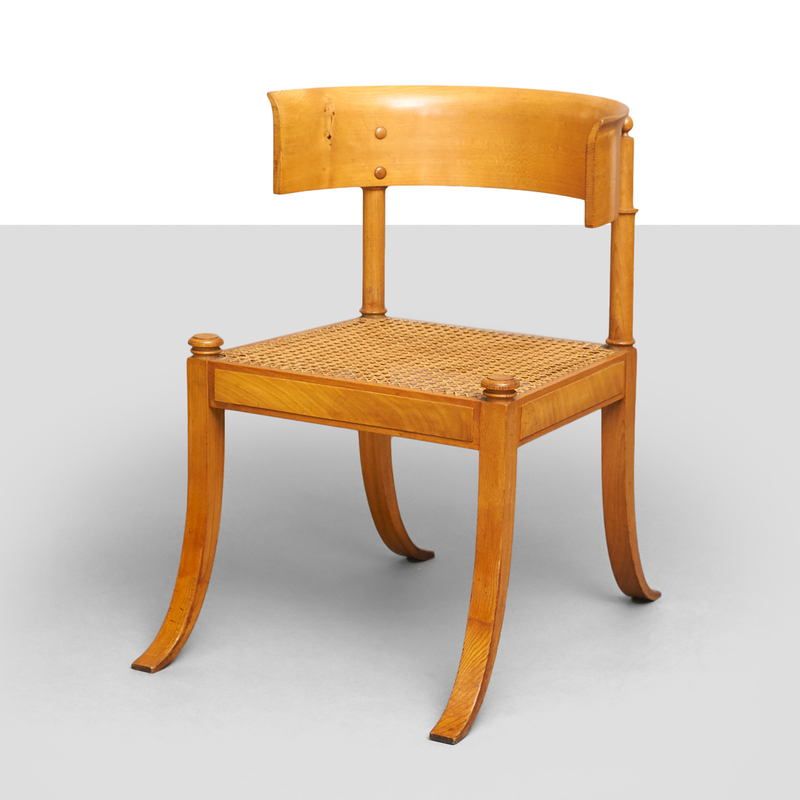 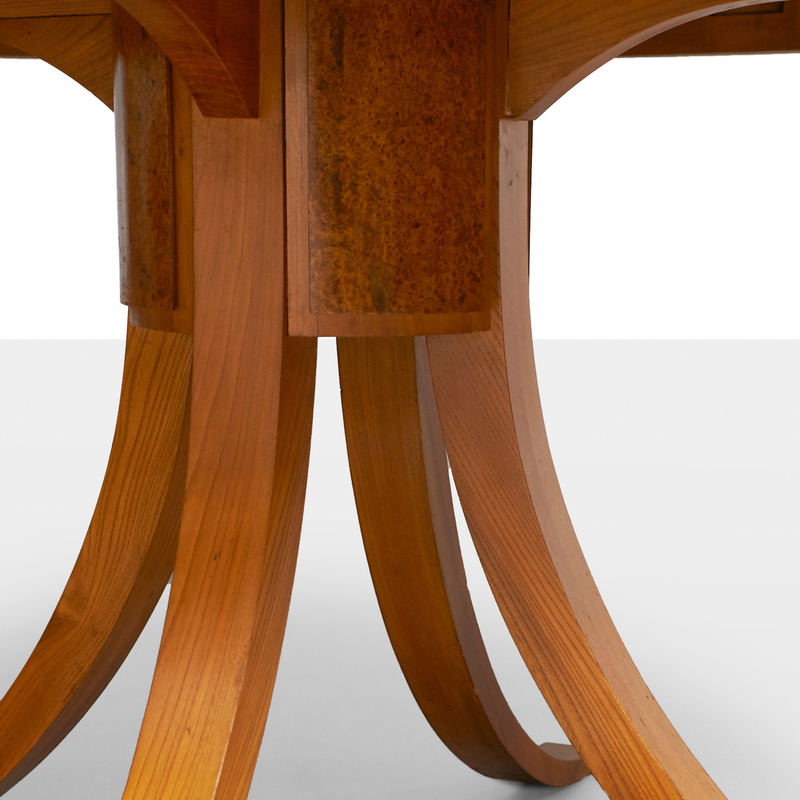 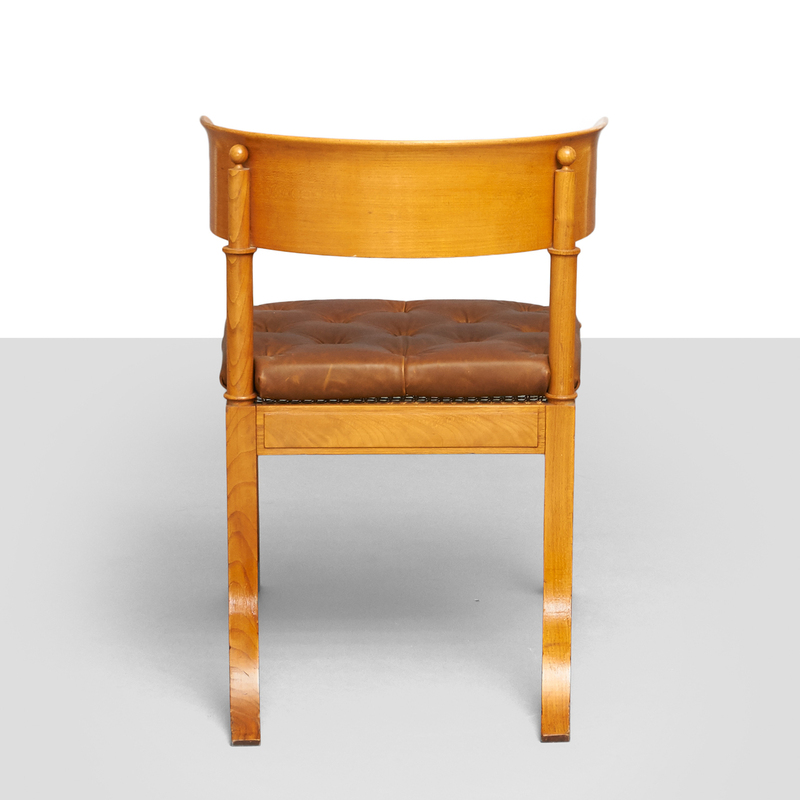 Provenance: designed for the library at Frederiksberg courthouse Denmark in 1922.